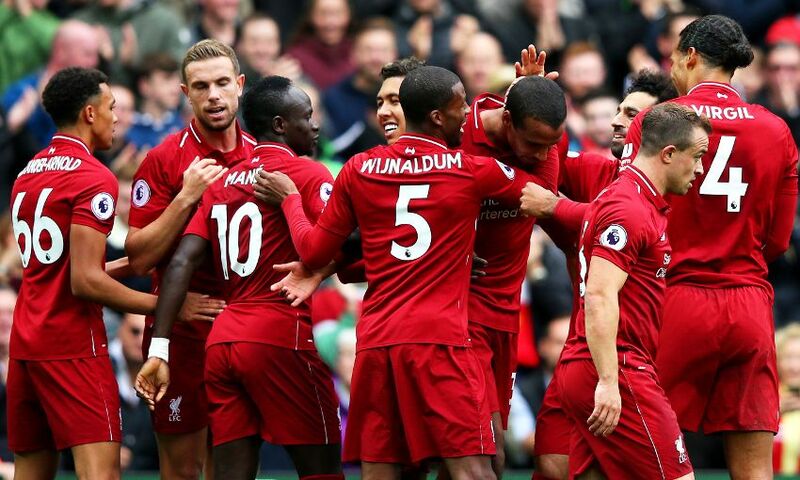 Liverpool's last two outings have demonstrated the strength in depth within the squad this season, according to Jordan Henderson. The Reds beat Paris Saint-Germain 3-2 at Anfield in a thrilling Champions League tie last week before maintaining their impeccable Premier League form with a 3-0 success over Southampton on Saturday. Daniel Sturridge and Joel Matip were among the scorers in those games, while Xherdan Shaqiri turned in an outstanding display against Saints – and Henderson feels this shows the quality in Liverpool’s ranks. He wrote in ‘This is Anfield’: “There’s been a lot said and written about the strength of our playing squad for this season, but I don’t think anything highlights it better than the result and performance on Saturday. “Joel Matip and Xherdan Shaqiri both made their first starts of the season and made massive contributions. Likewise, Daniel Sturridge midweek against PSG, by the way. I don’t envy for one second the gaffer and the coaching staff having to pick the team, because seeing the level of the lads in training means that there’s a case for about 23 players to get a start every time. “There are players missing out on squads at the moment who are absolutely on fire at Melwood during the week and under normal circumstances would be naps to start, let alone make the bench. It’s harsh, and when it’s you personally that is left out it’s more difficult to accept – but this is exactly how it has to be if we’re going to be successful. “What it does mean is that we’re all on our toes and we all know we can’t drop performance levels even half-a-per-cent. It’s a massive positive for us that the gaffer can make changes, not because the person in the side isn’t performing but because the entire squad deserves to be on the teamsheet come matchday. “For all the talk of rival teams, the biggest motivation for us at the moment to keep performing and keep winning comes from within our own group. I don’t need to look to Manchester or London to remind me that I have to give everything when on the pitch – I just have to look at the lads in our dressing room.